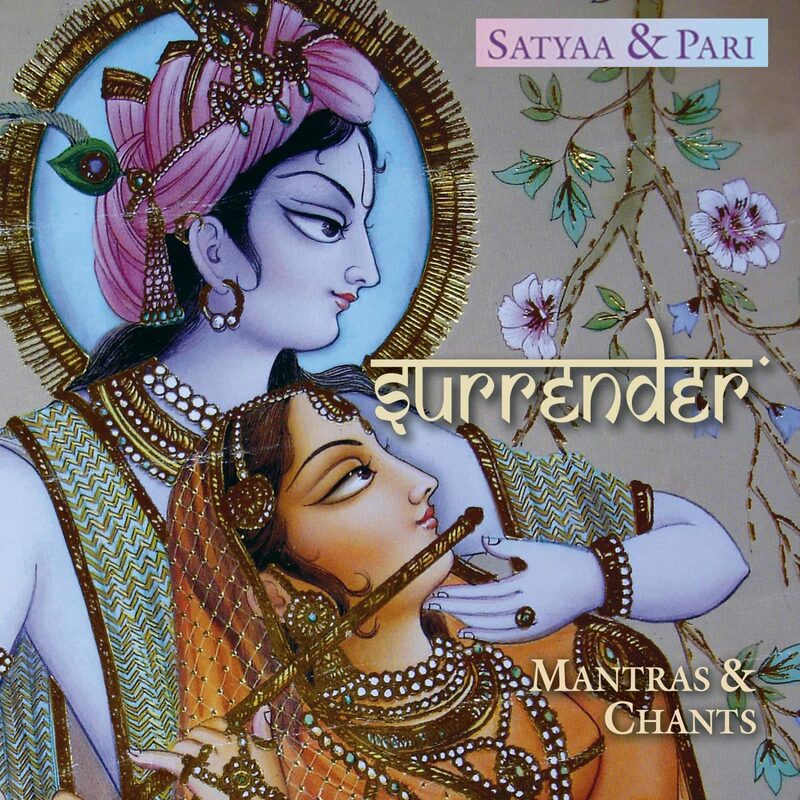 On our fourth CD “Surrender” beautifully sung and arranged melodies, mostly composed and sung by Satyaa, merge with hearty instrumentals into a joyous celebration of surrender, of love to the Divine. The authentic power of many mantras and chants are being supported by juicy grooves, using tablas, djembe, harmonium, violins, various flutes, bouzouki, a.s.o. touches the heart and wants to make it fly and dance. It is truly a singing and dancing your way to God, Album, giving the silence in the heart wings. Auf dieser vierten CD von Satyaa und Pari verschmelzen wunderschön gesungene Melodien, die meisten von Satyaa komponiert und gesungen, mit schöner Instrumentierung zu einer freudvollen Feier der Hingabe. Die Kraft alter Mantras und Chants unterstützt von östlichen und westlichen Grooves mit Tablas, Djembe, Harmonium, verschiedenen Flöten, Bouzouki u.v.a. Instrumenten, die das Herz berührt. thank you for spreading the Lords Holy names through your most extraordinary transcendental melodies.it makes me feel as though I were in Vrindavan - Goloka ! Ki jai ! It makes me feel connected every time I play it. Thank You very much for creating such a wonderful combination of sounds. I also have the CD, which I play quite often. It's a beautiful arrangement, with voices that seem heaven sent. Very Spiritual and soothing. Gesang der ins Herz geht! Ich bin kein so ein Fan von Mantras und dieser Art Chants. Aber dies ist wirklich eine wunderbare CD! Ich höre sie als stundenlang. Die beiden singen wunderbar... Man singt gerne mit... Ich habe sie auch 2 mal in Baden-Baden erlebt. Sie sind liebevoll, spontan und kinderlieb. Genau wie sie ihre Musik interpretieren. Devotional chant at its best from two of the hottest names in the industry. This is the fourth album from Satyaa and Pari, containing powerful mantras, chants and devotional songs. Love and passion ooze from the tracks covering the popular Govinda Jaya, Om Arunachala and Hare Ram Sita Ram mantras. Satyaa contributes her talent to the album with her vocals, harmonium and tempura. And Pari adds vocals, guitars and bouzouki. The album is produced by Satyaa, Pari and Rishi in the Free Floating Mobile and recorded in Corfu, Greece.